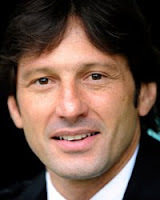 The rumors spreading this days are getting heavy on Ac Milan camp as the Italian giant are seriously listing candidates to replace Leonardo as the team's new coach. Names are being brought out by media as speculation grows more intense until the day the management confirmed who will be the new coach, up till now there have been few names that the media speculated from Marco Van Basten to Roberto Donadoni as the latest inclusion. Certainly the names being revealed the the media are probably not all true, as the club's management haven't actually revealed clear names about the ones who could change Leo next season. 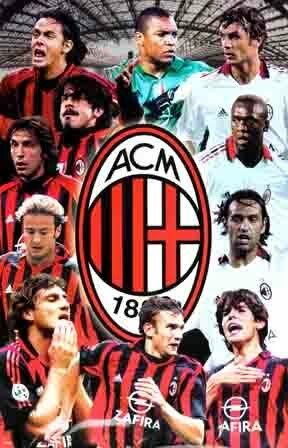 Surely today is the start of an emotional adventure for every aspects of Ac Milan, staffs, players, and fans are entering what would be two days of a mixture of feeling as aside the joy for getting their minimum target of the season which is acquiring the Champions League spot, the bitterness of loosing another legend is also on the cards. This event happens after today, Milan coach Leonardo officially announced his retirement as the Italian giants coach and confirming that he will not be coaching the Rossoneri next season, surely this news has been predicted by many but in truth hearing the news officially brings a bit of bitterness for most Milan fans including myself. Having cars for sport lovers can be an opportunity to show off their love of the sport that they are interest in or the sports team that they have an affection, such as football clubs or football players. 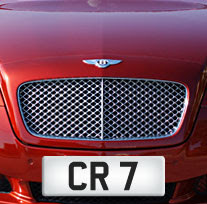 There are many ways to show the affection of football in your own ride, from the most expensive choices such as painting logo of your favorite clubs or players or maybe the a bit more cheaper pick which is getting yourself an exclusive car number plates with your team or player as the initial. This past few days, the rumor commode is running very fast in the AC Milan headquarters as reports from Italy claim that the Italian giants are very close in signing some new players, despite there haven't been any clear confirmation regarding Milan's next season's coach. Until today, the players that have been heavily linked and believed will soon arrive at Milannello are Rafael Toloi, Nicolas Otamendi and the latest the continuing raid for Dennis Aogo. Cars this days have been such an important ride and also a fashion icon for some people including for famous football players who see their cars as the perfect symbol of their lifestyle. As we know that in footballing countries such as England and Italy, football players have a very important status that in other nations are usually being called as celebrities status which pretty much made some of them having the privilege on riding fancy cars from the latest Audi, Porsche to Ferrari. As an addition for their expensive ride, many footballers this days completes their cars with lots of cool accessories from the interior that makes them comfortable inside also the exterior that would make their ride classier. Milan fans that actively follows the club's progress would surely knows this name, Pedro Leon, Spanish young football player that has been heavily linked with the Italian giant this last few months. Although he hasn't been official confirmed but Milan fans could pretty much be positive about this as the insider source believe that the transfer is already at the final stage with the negotiation is at an advanced stage that would see the Getafe midfielder sign for the Rossoneri next summer. Diet is actually a healthy program that can be done by normal people in regular base in order to have a healthy body or better, an athletic body. Among lots of diet program, one of the coolest one that I would highly recommend for most of you active people is the Athlete's diet or you could call them the soccer players diet. This interesting insight is pretty much an accidental findings that I discovered as I was browsing news about my favorite soccer club Ac Milan and in an interview , the team's doctor and chef both share a great info about what athlete diet is.